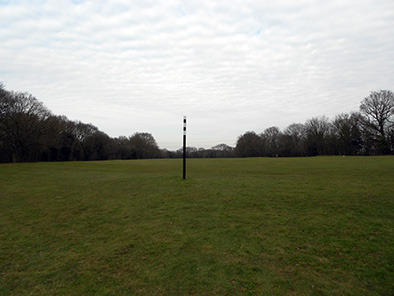 If your ball hits this post, you must play another from the same spot. There is no penalty (local rule 11). 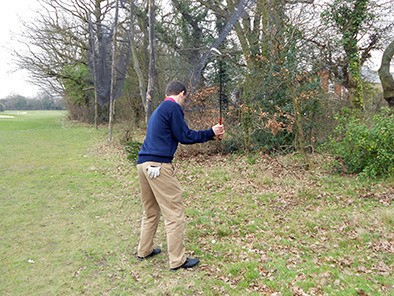 If your ball comes to rest on a spot where the netting interferes with your swing, you are entitled to a free drop. Where you can drop is determined by the nearest point of relief. This may not necessarily be in the direction of the fairway. 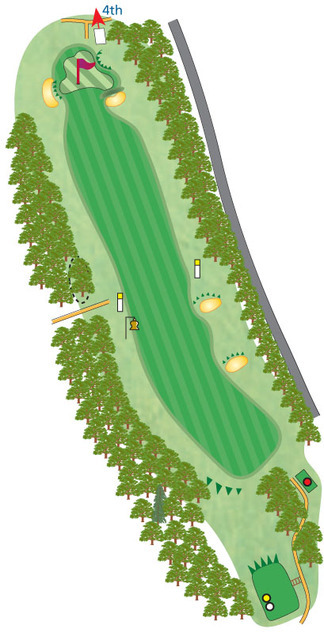 See Hole 2 for guidance on how to determine the nearest point of relief.